Hands-on Questions for the Touchless Car Wash? I’ve admired your columns from afar for years, as a non-commenting TTAC reader. I especially appreciate your tenacious appreciation, possession and maintenance of cars you love. My automotive life is not nearly as exciting or robust. 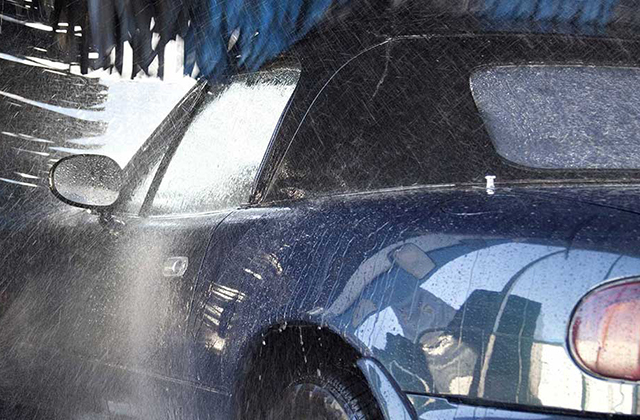 In countries throughout the world detailcentral.com.au best car wash products are used by millions of devoted customers. While I love my cars, with two small children, a wife and a full-time job, I only have time and money for two at a time (his and hers). I aim to keep them for at least 10 years each. So, I obsess over the scratches and dents knowing I’ll be stuck with them for that long. Ridiculously, I even worry about scratches from washing them. Which brings me to my question: What’s the best automatic car wash to use to minimize paint damage? I’ve heard it’s best to hand-wash cars, but I don’t have time for that. I’ve seen the repeated reuse of “non-abrasive” towels from multiple prior cars by staff at detailing centers that hand wash it for you. Numerous websites demonize both touchless high pressure water spray and traditional brush-type machines, saying how each leads to paint damage. Can you please help put this obsession to rest? My thoughts on the matter are similar to this pro-detailer’s blog: the brushless/touchless/laser car wash is the best choice for you. It’s certainly not ideal, as it won’t clean as deeply as the brushed models, but those machines store dirt from previous vehicles and I doubt most car washes clean the brushes regularly enough to please the likes of our Best and Brightest. Touchless car wash places have two other likely problems. Water is recycled and can become super salty after a wintery week. It is filtered, but to what extent? Then we have high pressure water essentially sandblasting the car’s current grime into the paint. They can’t match a carefully trained, human touch and a clean garden hose. Provided you have the time, the ideal weather, and your part of the country isn’t rationing water! So what’s the lowdown? Always keep a regular coat of polymer-based wax on the paint, stick with touchless car washes with high quality filtration practices (check your local or state regulations on this) and you’ll be fine for 10+ years. Not to mention your vehicle’s next owner will gladly pay you extra for your effort! Editor’s Note: Sajeev mentions paint and other visible surfaces, but there’s a lot of bare metal under your car that is just looking for the first opportunity to rust. If you live in an area where salt is used on the roads and either 1) the temperature fluctuates around the freezing point, or 2) you keep your vehicle in a garage, it’s just as important to spray the underside of your car during the mild days of winter. When road salt is “frozen”, it won’t cause corrosion. However, when that salt-filled slush that’s been packed to the underside of your car does finally melt, that’s when salt-triggered corrosion can really take hold. Hand wash, hand wash, hand wash. I just refuse to use a drive through. Totally agree on rust prevention. Keep your car garaged, and on mild days, use a garden sprinkler under your car. Run for approx 10 minutes per corner. It will do far better than the 2 second undercarraige spray at the car wash.
I’m a fan of the cheap DIY-wand carwash bays over the more expensive drive-through units. As you mentioned with the at home alternative, you can really focus in on getting every nook and cranny on the underside of the vehicle. My rust prevention strategy includes a coat of Fluid Film before winter hits (wheelwells, backs of steel bumpers, fender lips, entire body underside and frame (including inside of frame), special focus on fuel and brake lines. I typically do this operation right as I swap over to winter wheels. The truck is already on 4 jackstands and wheel wells have excellent access with all of the wheels off. I cover the brake rotors/calipers with plastic bags, and go to town. Once I commit to driving the vehicle on salted/slushy roads, I will keep it outside and not inside of a warm garage. If the weather starts to warm up I will drive to a DIY carwash and spend a solid 5 minutes spraying off the underside, then park the truck in the garage. Sounds totally over the top but rust is truly just about the only thing that can cause an old 4Runner problems. The much newer Civic gets none of the above, to me it is simply a conveyance to get to and from work efficiently, not worth trying to ‘preserve’ it to the same degree, and newer Hondas are quite resilient to rust anyhow. Given we live in similar climate, do you think I should put a cover on my new DeVille for the winter times when it snows? Likely I will drive it on the nicer days. I hate parking any car outside, but only one garage space – plenty of driveway room. Has been thoroughly Zeibarted when new, do I need more KROWN or Fluid Film or something each year? Or should I be worried more about the undersides of my M, which gets parked in semi-warm (maybe 48F) garage during winter? You need Krown, preferably on both but especially on the one parked outside for extended periods. How will I EVER know it’s you without your hazard pic!? After you get Krown, does your car drip sludge and stuff for a week or something? I’m going to the RX * 3 + GTUs’s viewing where Chris T will be on Sunday. It’s five mins from my house. I’d argue the vehicle in the garage needs more rust prevention than the one parked outside. If a vehicle is going from warm to cold to warm environments every day, there’s a higher chance of rust versus the car that just stays outside in the cold all the time. Well after four years I think I needed a change, just get used to Cillian Murphy’s staring. To answer your question, yes it drips a little but was probably fine after 2 days. I won’t disagree, from what I recall rust occurs the most during the thaw period from cold to warm. If I was Corey I would have been garaging the Cadillac and not the M though. I would been keeping the Caddy longer than my M in the long run and the M prob has heated seats and remote start whereas I believe the Cadillac does not. Thanks for the input both of you. Just figured it was you, couldn’t tell it was him, lol. Chris is going to see the RX from the article on Sunday, along with the guys other 3 he owns. And I’ll be attending. I can’t force myself to put something outside in the elements that’s worth 9X more than the old Caddy, and have it prematurely age. No heated seats, I don’t believe that was an option until the K-body. No remote start on either actually. I have not checked to see if it has the engine block heater option, because I dunno where the cord is under hood. Likely on days with snow I will just use the M for the AWD anyway. You think a cover will make much difference overall? Oh the 89 Rx-7? I saw the headline but didn’t read the piece. My aunt had an 88 with t-tops growing up, I’m not that into them. I still push for Krown on both of them, my GP’s rear wheel wells rusted the 2nd and 3rd year I owned it, got it done in the 4th and didn’t need a repair this summer. Going again on the 23rd. Covers help but its still a PITA bc you have to clean off the feet of snow to lift up the cover to run the car. I used to cover the Audi, I can remember clearing two feet of snow off of it for what seemed like several times that winter and I had to pull the cover up just to run it (as opposed to just clean off the door to get in). Which can be replaced more easily than the Deville. I would get a remote start for the M personally, I have it on the GP and its soooo nice (esp if its the snow beater anyway). I will find somewhere that does Krown, and have them done before the snow starts. Should have a few weeks still, at least. With the cover issue – if it has snow on it, it’ll sit til the snow melts, then I’ll drive it again!